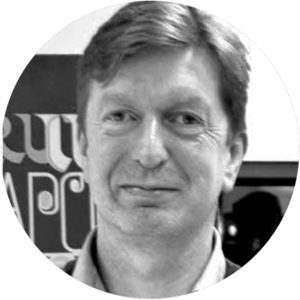 The prime focus of Peter’s research is the investigation of radical alternatives to how target audiences may be defined and how the latter may impact on Communication Design processes and outputs. “The audience is the message?”The latter question forms the basis for his research. Defining target audiences (market segmentation) is an established practice and core methodology within Communication Design. Target audiences are commonly based on developments of advertising market groupings (a, b, c, d and e’s) that in turn within the UK stem from historical social and class structures. Consequently how target audiences are classified and markets are segmented, tend to follow well-established patterns such as: age, gender, income, wealth, education, employment, ethnicity, nationality, family status, sexual orientation etc. Although the latter forms a key part of Peter’s research and is a fertile area for analysis and social comment, the principle focus of his research is to develop radical alternatives to established target audience groupings and investigate how these alternatives may impact on the message or indeed may lead to new Communication Design opportunities and outputs. The latter forms the basis for Peter’s PhD research on which he enrolled at the University of Plymouth in Sep 2009.